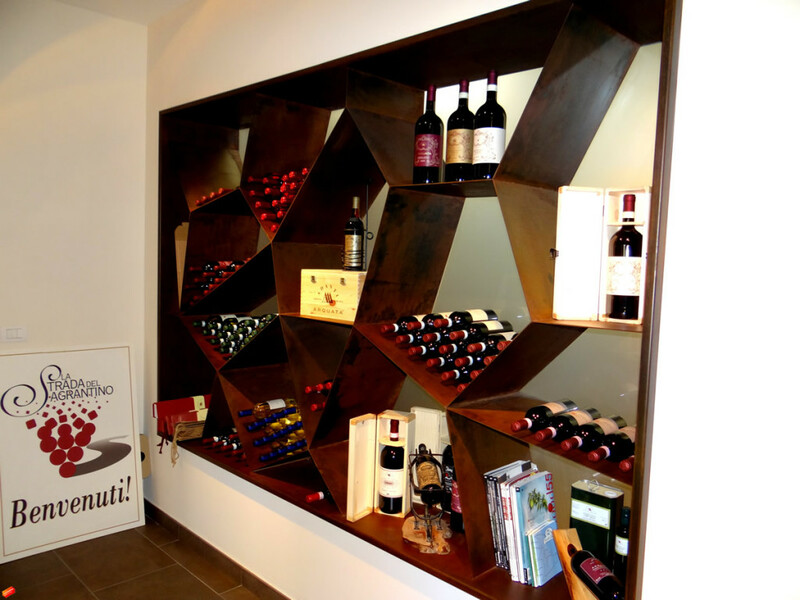 Famous for its wines protected as Sagrantino and Montefalco Rosso. Cantine Adanti is one of the historic cellars of the Montefalco area in Umbria, famous for its wines protected as Sagrantino and Montefalco Rosso. It covers about 40 hectares of land, of which 30 to vineyards and 10 to olive groves, located in the hilly areas of Arquata and Colcimino, famous since ancient times for its high quality of olive oil and wine. The winery produces mainly red wines from indigenous grapes, Sagrantino di Montefalco DOCG dry and sweet, and then the Montefalco Rosso DOC and the Red Arquata Umbria IGT, but also continues to produce the characteristic white wines such as the Grechetto and the Montefalco Bianco. The grapes used, mainly varieties Sangiovese and Sagrantino, but also Cabernet, Barbera, Merlot and Grechetto, come exclusively from estate vineyards. Today the actual owners of the farm, the sisters Daniela e Donatella Adanti still aim for a quality production of selected wines and extra virgin olive oil, constantly turning the utmost care to all its products, in respect of the territory and its ancient traditions.